Student Leadership and Engagement works to support new students and their family members as students transition to campus. We work with the incoming class from the time they decide to attend Buffalo State through their orientation and through their first few weeks on campus. 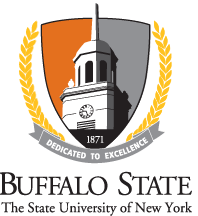 We continue to support family members throughout the student’s experience at Buffalo State. Our programs and events provide information that create a common experience and promote Buffalo State school spirit by fostering student learning and development both in and out of the classroom. On behalf of our team, we welcome you! We look forward to meeting all of our new Buffalo State Bengals. Please select the appropriate tab to go to either First-Year, Transfer, or Family Member information.